Premiere Flamenco music & dance ensemble led by Berto Boyd returns to the Majestic to take listeners on a journey through a musical landscape that can be haunting and deeply moving, due in no small part to the spine-tingling duende, or trance-like spirit unleashed by the music. Additionally, this concert will feature special guest artist and dancer Melissa Cruz from the Bay Area. 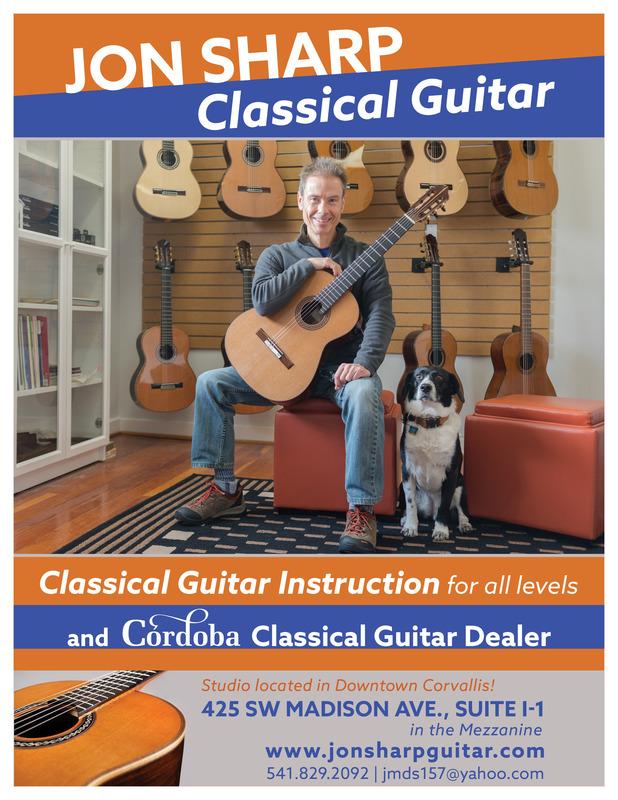 We are pleased to announce classical guitarist Travis Johnson as our featured artist and as the maestro who will conduct the guitar workshop. 7:05 – 7:40pm Guitar Workshop with Travis Johnson. 7:40 – 8:10pm Open Stage; share your music with us – all solo guitar styles (or ensembles) and all abilities welcome. He will also be presenting the festival Master-Class on Saturday morning. I am delighted to announce that, following the award of a grant from the Benton County Cultural Coalition (thank you BCCC! ), the Guitar Society is in the process of planning a Guitar Festival in Corvallis which is scheduled to take place on Friday 9th and Saturday 10th June 2017. Please mark your calendars! The Festival will comprise two concerts, a Masterclass with our internationally acclaimed headline concert artist (who we hope to announce soon), and guitar workshops. More information will follow as we nail down the details so please watch this space and please tell your friends.